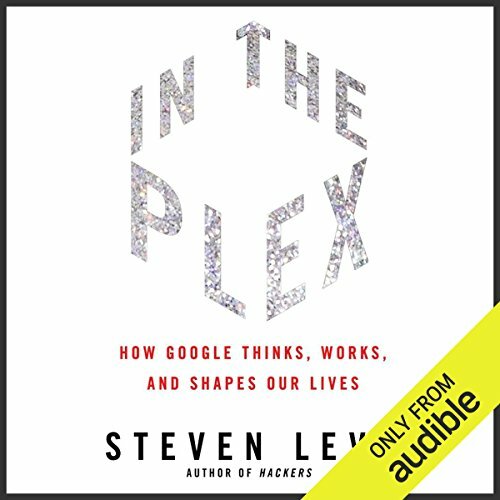 This edition of In the Plex includes an exclusive interview with Google's Marissa Mayer, one of the company's earliest hires and most visible executives, as well as the youngest woman to ever make Fortune's "50 Most Powerful Women in Business" list. She provides a high-level insider's perspective on the company's life story, its unique hiring practices, its new social networking initiative, and more. 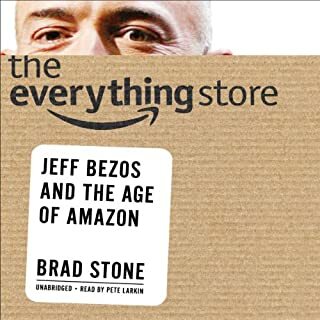 This is a good listen if you’re interested in Google and Silicon Valley in general. A good accompaniment to Jobs autobiography I think. The narrator took a bit to get used to but in the end I found it easy to listen to him. I loved this book. It showed how seemingly small decisions made when starting up a company can shape its whole culture and direction. And how this is challenged when they try to become a 'big' company. Well researched, and excellent narration. Recommended. An interesting and intriguing read. Good for anyone want to know more about some inner scene about the company. 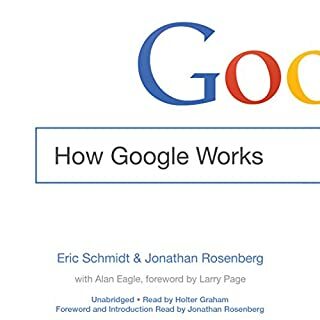 this is a superb insight into the goings on of Google and how the worlds biggest search engine works. 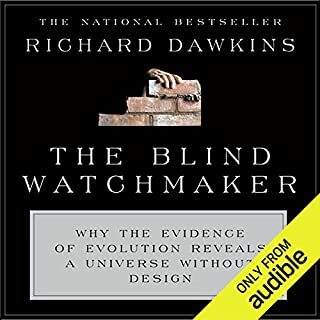 Its so insightful all webby type people should have a read or listen. 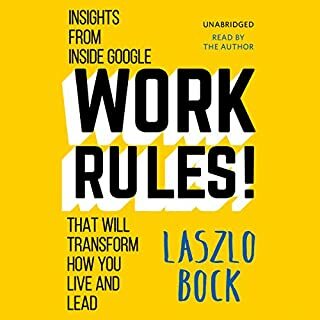 This is a fascinating book about why Google is a good place for employees to work. As someone who isn't in the tech scene the book came as a bit of an eye opener. As a geek Disneyland, the staff work in an environment that allows them to innovate and create at a relentless pace. The audio also covers Google projects in other countries such as India. If you are a recruiter this is a book packed with insight and if you want to get a job with Google this is a good place to start. An enjoyable listen if you are active online and use search engines and would like to see the personalities behind them. Great listen for anyone who has ever used a Google product. It's amazing to see how Google grew so quickly with such a great basic idea. Finally, the inside track to a story you already know! We've all observed the little changes to google search, and big product launches like gmail and android, but if you're like me, you didn't know the how's or the why's. 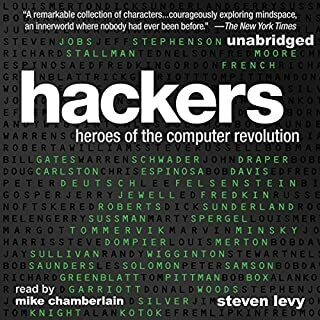 Engrossing and empowering, Steven Levy did a great job with the material and I feel some of the "googleyness" he mentions rubbed off him, and now it's rubbed off on me too. Big picture, innovation, revolution, evolution... 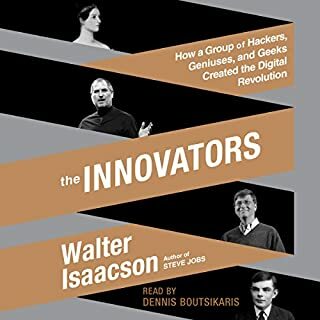 I guess this is the first book ive read that you might class as a business book, but it's more of a tale, maybe even an allegory, for making the impossible possible, using smarts to change the world, doing things better than the traditional way, and more. Loved it. No longer will I go and do a Google search again without feeling like someone is watching me! An insightful book on the data collection and the value of the modern technological era we live in. It’s exciting to think that people will do some great good with the information that Facebook and Google are collecting.